LAHORE: Punjab Chief Minister Shehbaz Sharif on Thursday called on former prime minister Nawaz Sharif to discuss the caretaker setup and also conveyed party leader Chaudhry Nisar’s reservations to him. On Monday, Chaudhry Nisar Ali Khan called on Shehbaz Sharif where the latter assured him to resolve the differences he had with the party. 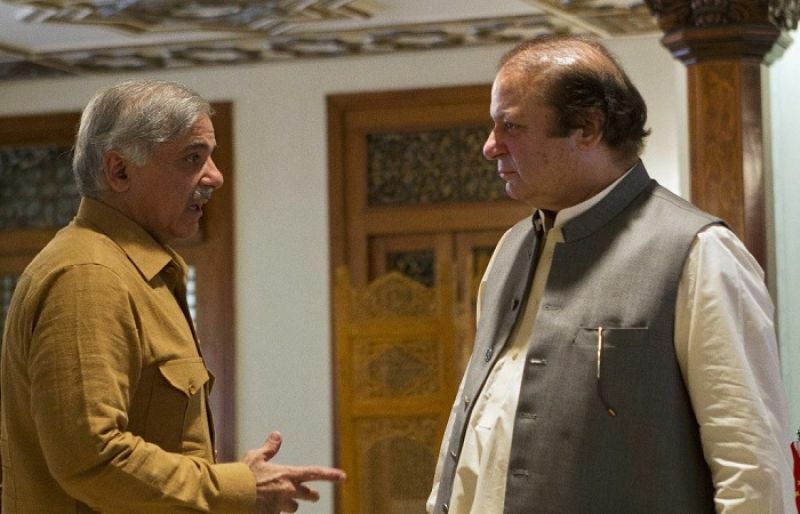 The meeting between Nawaz and Shehbaz took place at Nawaz’s Jati Umra residence, Lahore, and continued for over one hour. The two top leaders of the Pakistan Muslim League-Nawaz (PML-N) also discussed the overall political situation and other important issues faced by the government and the party. The two brothers also discussed the issue of caretaker setup for the upcoming general elections, party preparations and strategy for the polls.